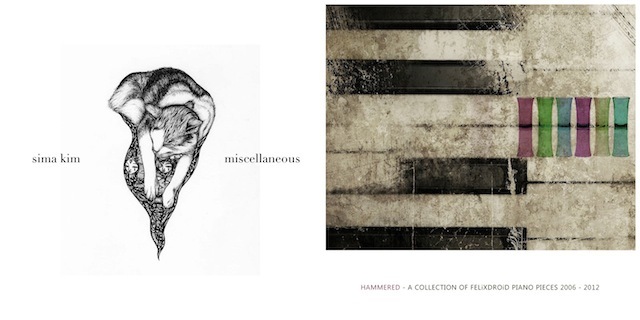 Two compilations of past work have captured my attention recently ... the first is “Miscellaneous (from 2011 to 2012)” by Sima Kim and the other is “Hammered” by FELiXDROiD. Both are wonderfully engaging in their own way and both create the most wondrous of atmospheres when they are played. 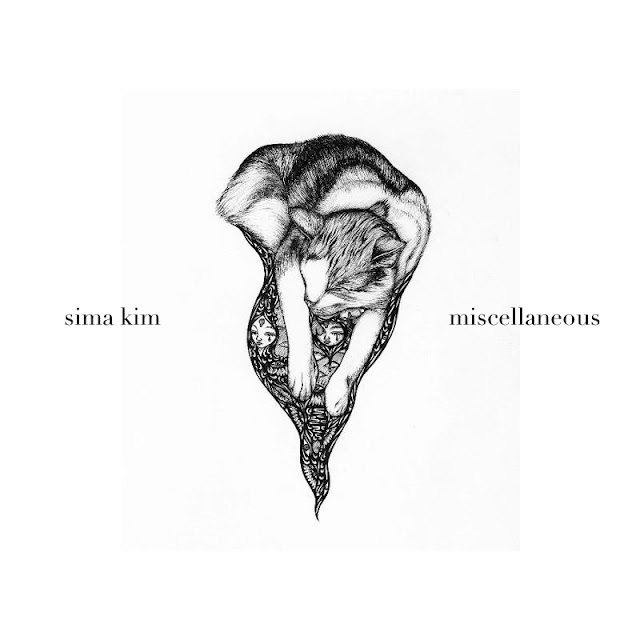 Now ... I’ll be open and say I am big fan of Sima Kim’s ... his contributions to my netlabel’s end-of-year compilation were spot on ... and this collection of music from 2011 and 2012 really highlights a talented artist. His release “Songs” from Twice Removed (where I first got to know him) is well represented with the track “I” ... however he has been very prolific and, in the period of 2 years, has amassed sufficient material to produce a “greatest hits” of a sort. I love how he can and does make the most delightful soundscapes ... using instrumentation such as the piano, synths, and field recordings ... bring them together and manipulating them as necessary to create his wonderfully dreamy otherworldly lullabies. Take “Someday somewhere” for example. This is a heartbreakingly beautiful piece ... a melody is repeated with instrumentation such as a the piano and the glockenspiel used to build up sound presented. It is a lilting, gentle melody that could easily rock you off to sleep if it weren’t so densely packed with awesomeness. Another example of this is “Tribute to no one” which is brilliantly progressive ... a post-rock builder of a track that simply grows and evolves in front of your eyes. When Sima Kim uses percussion and drums ... he uses them well. I could have been persuaded that this track was by The Echelon Effect if it weren’t for the fact it is on this compilation. I can't think of a higher comment. I would heartily recommend this compilation as an introduction to the work of Sima Kim ... as well as a delight listen in its own regard. It is expertly sequenced, for a compilation, and is well worth being on anyone's mp3 player of choice. 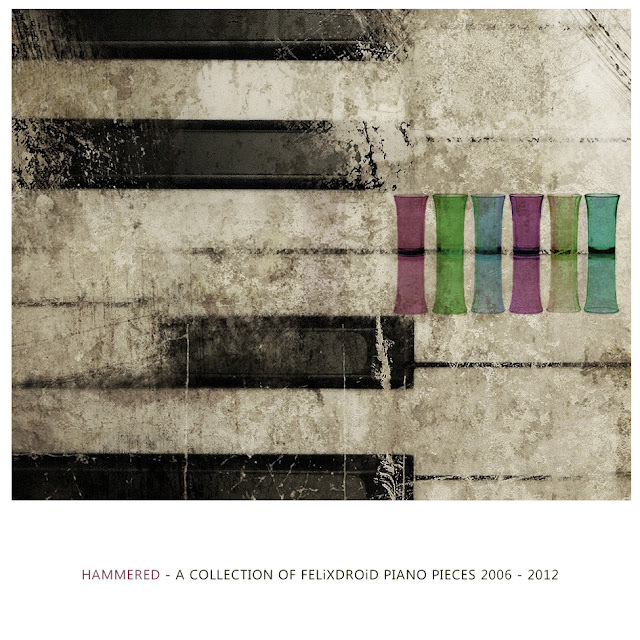 As is “Hammered” by FELiXDROiD ... a collection of his piano pieces from 2006 - 2012. As with Sima Kim, this is a tremendous collection of “greatest hits” sequenced in such a manner to make sense as a whole as well as a selection of tracks. The music FELiXDROiD presents is all piano-orientated ... mostly piano-based ... in a more ambient manner than say the work of Blackclassical ... albeit their are moments of solo piano reminiscent of Satie. The thing is ... there is no right and wrong here ... both are truly powerful examples of what can be achieved with a piano ... and FELiXDROiD expertly demonstrates this. Take the opening track - “all or nothing at all”. What a wonderful track it is ... a haunting synth underpins a rather abstract piano melody ... it feels ’late night’ and deliciously so for I have found joy in listening to this album later in the evenings. The next track - “The Longinging - part 9” - is a exploration of neo-classical sounds with a cello playing off against a piano. The interaction between the two is exemplary ... and an utterly delightful listening experience. The music presented on “Hammered” does demonstrate both the breadth of talent FELiXDROiD has as well as how versatile the piano really is. From the ambience of “Room 3 of...” to the solo piano of “Le Jardin est Vert” with its deliberately dodgy chord near the end ... “Hammered” is a real showcase from FELiXDROiD. The stand out track for me is “before the storm came” with its utterly engaging piano melody and beguiling percussive elements. It's like the theme tune to a film or play I have yet to see ... and I guess that is the crux of Felixdroid’s work ... it has a cinematic quality that I, for one, greatly appreciate. I heartily recommend this compilation as an effective entry point to FELiXDROiD's music. "Hammered" isexpertly sequenced and is similarly worth being on anyone's mp3 player of choice. Have a listen & do what you can to support excellent independent music.